500 Home Run Club Members Were Real Homers! While the 25 members of The 500 Home Run Club® are among the best known and beloved baseball players around the globe, most would agree with Dorothy’s famous proclamation in The Wizard of Oz: “There’s No Place Like Home." In fact, the majority of our 500 HRC royalty, including current sluggers like “A-Rod,” “The Kid” Ken Griffey, Jr., and “Man Ram” Manny Ramirez, and all-time greats like Hammerin’ Hank Aaron, “Mr. Cub” Ernie Banks, “The Beast” Jimmie Foxx and “The Killer” Harmon Killebrew hit more than half of their career dingers with the benefit of home cooking and a friendly hometown crowd. 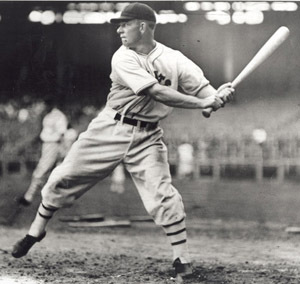 Editor’s Note: The 500 Home Run Club member with the highest “at home” percentage is Mel Ott who hit 323 (or 63%) of his 511 career long balls at home in the Polo Grounds of the NY Giants. While others liked to silence crowds in the ballparks they visited with titanic blasts that took the wind out of opposing fans and swung the momentum back to their own teams. 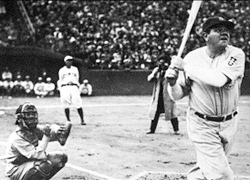 It’s interesting to note that, despite old Yankees Stadium being known as “The House That Ruth Built,” The “Sultan of Swat” was among the all-time slugging greats who actually hit more long balls on the road. Others included “Mr. October” Reggie Jackson, who always came up big in the biggest games, and “Big Mac” Mark McGwire who, after calling St Louis’ Busch Stadium his home field for much of this career, took advantage of every at-bat in smaller ballparks with prevailing winds. Following is an alphabetical listing 500 HRC members’ home/road home run stats.